-1 for the taillights. The whhels & stance are sick though. I’m starting to think I just have terrible taste in stance and wheel fitment. I like the widest tires that can possibly fit in the wheelwells, wheels that are sized for those tires, driveable amounts of camber (over 1 degree is a LOT! ), and enough ground clearance that I can drive over a sleeping policeman. 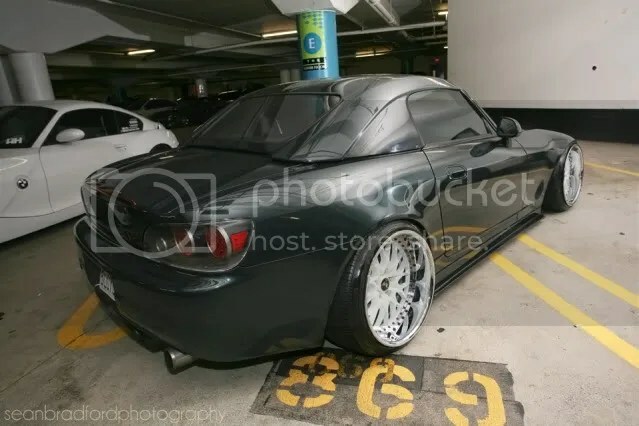 So I have to respectfully say that I just don’t understand this, and think that poor s2000 has been ruined.